A unique collaboration between investigators, sponsor and CROs allowed this extraordinary fast recruitment in a study on orphan disease. Sponsor is happy to apply for marketing authorization 9 months earlier than estimated. Dr. Falk Pharma’s oral daily granules, for the treatment of Crohn’s disease (CD) achieved therapeutic benefit for more than 90% of patients in each group. A geographically dispersed team spread across multiple time zones requires sophisticated coordination. We achieved consistent standards among different stakeholders in collaboration with 59 sites in 10 countries, and met the demanding timelines assigned by our Sponsor. regulatory approval, trial development, statistics and documentation, helped to comply with all the requirements needed to obtain the CE marking.PSNReseach Team guides his clients throughout all the process, taking care of all the intricacies required by a CE marking. In 2015 we were part of an inspection program driven by German local authorities comprising scrutinizing visits at sponsor, CRO, lab and different investigational sites. The CRO inspection resulted in only minor findings for our Munich office. The corresponding corrective and preventive action plan provided was accepted by the inspectors straightaway and all findings could be remedied within a few weeks. The sponsor was very pleased with the overall outcome of the inspections. PSNResearch Germany successfully completed a clinical trial conducted in twelve EU countries. 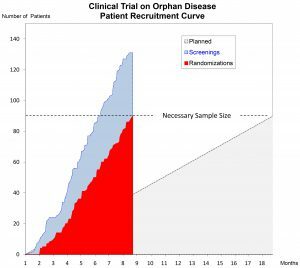 Mastering the challenges of an orphan disease’s limited patient pool more than 150 patients were enrolled. The convincing results prompted the sponsor to start the phase III study. countries were added; and since October 2015, requests from all over the world are being managed. 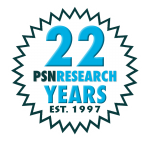 Currently, the PSNResearch team of 13 qualified professionals, work on the data entry activity, daily record and quality control, managing more than 2,500 monthly requests within a 24-48 hour period. the adaptation of good manufacturing practices for these special processes should be considered from initial scientific advice, final reports need to be adapted to regulatory requirements. PSNResearch has participated in more than 8 cell therapy and 3 gene therapy programs in different disorders. PSNResearch Spain was involved in a fast track authorization of a Genetically Modified Organism voluntary release in the context of a CT for Ebola vaccine. GMO in the EU is regulated by specific legislation, implicating an additional authorization for a risk management plan for workers and environment. We were able to obtain the authorization in only 1,5 months knowing that the regulatory pathway is usually taking 4-6 months for each country. The regulatory support from Spain made possible to open the trial in Europe obtaining this authorization just on time for the competitive recruitment. Our regulatory/medical affairs team succeeded to have the PIP approved to support a pediatric use marketing authorization (PUMA) of metformin. The PUMA will be supported by a pivotal phase 3 study, METFIZZ, investigating metformin in adolescents with PCOS. The symptoms of PCOS in adolescent girls may lead to infertility in later years. It was known that off-label use of the diabetes drug metformin can be helpful in adults, but there were no studies to establish safety and efficacy in younger patients, nor were there age-appropriate dosages. This large, late stage clinical study (4400 patients, at 200 sites in 14 countries) compared a peroral and a parenteral product using a “double dummy” technique to ensure that the study remained double blinded. Both investigational drugs were marketed products. All drug was shipped from the facility in the Copenhagen area directly to the sites or to local warehouses. Our goal is always to ensure high quality study medication is at site in good time for patient enrolment. Lev Pharmaceuticals’ Cinryze®, a prophylaxis against hereditary angioedema (HAE), was approved by the FDA after successful pivotal clinical trial. HAE can cause life-threatening swelling of the airway, along with non-life-threatening swelling of the extremities. Lyle ensured that the Sponsor’s timelines for BLA submission to the FDA were met, by managing multiple vendors and efficient monitoring teams. Ignazio understands the demanding circumstances and requirements of the Phase I clinical trial. His team has specialized in this unique discipline, for over 20 years. Contact us to learn more about our First-In-Human clinical achievements. IctalCare’s success story results from our contribution to their clinical development process: protocol writing, monitoring, data management, statistics, and reporting. Use of our proprietary clinical development methodology has resulted in this project achieving the final approval stage of the research process. A particularly challenging medical product (its software algorithms designed to filter out normal human physical activity and only alert when true epileptic episodes occur), our dedicated team helped IctalCare overcome obstacles that arose during the trial. Challenge: A specialty biopharmaceutical company targeting the therapeutic power of plasma for the treatment of chronic, life-altering diseases like hemophilia and immune deficiencies, contracted us to perform CRO services for two different Phase III studies. Regulatory requirements included an audit mid-way through the process. We ensured that our strategic partner won preferred provider status after successfully completing an audit of protocol design, conduct, monitoring, data management, and quality assurance processes. Our client successfully launched the product in new markets (Russia, Turkey, Ukraine).